This event will meet at the Arcata Community Center. Festival headquarters will not be set up there quite yet so just look for others with binoculars and spotting scopes. This casual birding trip will use smart phone apps to enhance the birding experience. Gary will share his knowledge of the different apps available and how to use them. 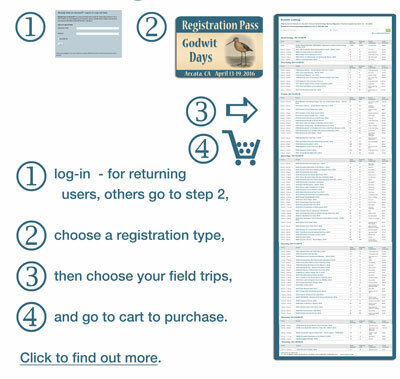 The HBBO/KBO booth can help you enter your species list into eBird Friday, Saturday, or Sunday during the vendor hours at the Community Center. We will work around the Arcata area with a start at the Arcata Marsh & Wildlife Sanctuary to witness the thousands of shorebirds that roost, feed, and fly around the marsh in spectacular display. A variety of species will be seen as we move on to the Arcata Bottoms and the north end of Humboldt Bay. Gary has been an Arcata birder for many years and will also be looking for any special birds that have been reported in the area.